Vampire Saga: Pandora's Box is rated 3.0 out of 5 by 30. Rated 5 out of 5 by saltnviniger from enjoyable HO game This game was great to play. At first I was confused but caught up pretty quickly. I have bought this & the other 2 games in the Vampire Saga collection. I'm hoping they bring out more. Rated 5 out of 5 by jocasta1 from Fun and intricate game! I love this game, but not its sequel. Very complex as you have to keep returning to different locations to find the objects you need. Great story!. Rated 4 out of 5 by grunny50 from Great Old-Style Game I hesitated before buying this game, but once I started playing, I was really glad I took the plunge. Great storyline, moving very well through the scenes and the plot. I loved the HOS's because they were challenging but not impossible. I used the hint button once in a while, but for the most part, some patience got me through the scenes. 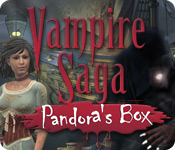 Rated 4 out of 5 by JulieJay from Vampire Saga: Pandora's Box Great Hidden Object Adventure game. Storyline held my interest all the way through and there was a great twist. Graphics were a bit grainy but went with the atmosphere of the game. HO scenes were some of the most difficult I have come across in a game and I used the hint a lot more than i like to. In fact, I rarely ever do in a game but couldn't have proceeded with the help in this one. This was down to the brilliant hiding of some items and the mis-description of others. Music went with the game. No voiceovers. Dialogue and cut scenes were too slow. There is a "faster" button which you click and hold to speed things up but I tended to miss what was being said so endured the slowness. There is a journal but no map. A lot of back and forth. You need a good memory to remember where you need to go to get what you need. Overall a game worth playing and I am now going on to play Vampire Saga: Welcome to HellLock. 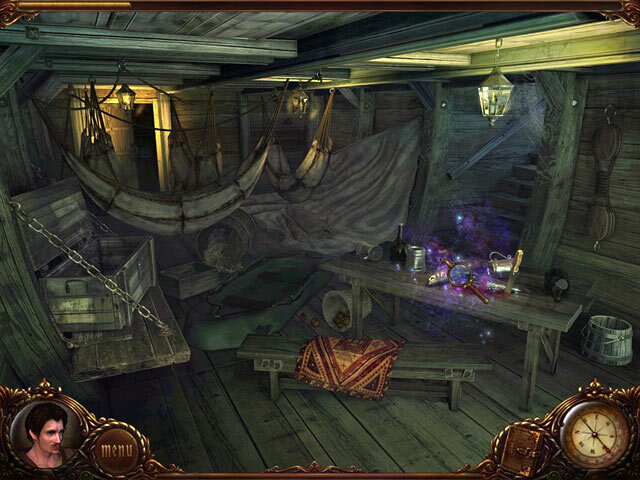 Rated 4 out of 5 by SeaBamboo from Good story, challenging hidden objects In this game your grandfather tells you the story of a ship, Pandora & what happened on board & his search to find out what happened. 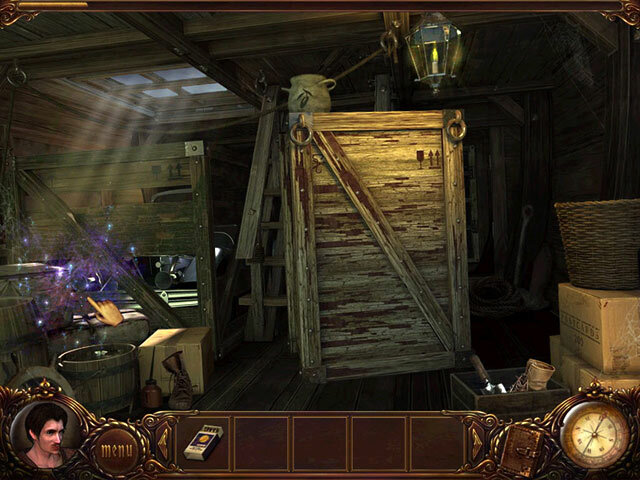 This is mainly a Hidden Object adventure with very few mini games; you can’t miss a H0 as they are lit up like a firework display. The graphics are good although a little too much over-washed with a greenish pallor & the objects are well hidden; there is some odd misnaming of items but not enough to spoil my enjoyment. There is a loop de loop misclick penalty & a 60 second recharge on the hint button. If you get stuck look out for a flash of light, if you are in a scene that requires an action & you haven’t done anything it will flicker. The hint button will tell you if there is nothing left to do in an area. Unfortunately there are no voiceovers although there is a ‘faster’ button to speed up the dialogue or you can skip altogether. The music suits the game but is rather repetitive. This was a long game & well worth playing; I found the story interesting & the H0s challenging. Rated 4 out of 5 by sandebeach from Quite A Story, Quite a Game PLUS SIDE: This was a long game for me, took over 4 hours to play. This game is the first game in the Vampire Saga series. The story starts in 1950 in Boston's North End, where a young man is summoned to his grandfather’s house. The grandfather begins to tell the grandson a story about a boat, a young woman, and a mysterious adventure. The game was very interactive. The HOG scenes took me a bit of time to complete, and the game had multiple locales to explore, with a lot to do, and a lot of going back and forth for items. I had to use the walkthrough several times because I was totally stuck. As for the story, all I can say is Wow, it was really good and I am not a big vampire fan. Will just say the story had twists that I did not see coming. I was surprised at the ending, and now I am eager to play the sequel. 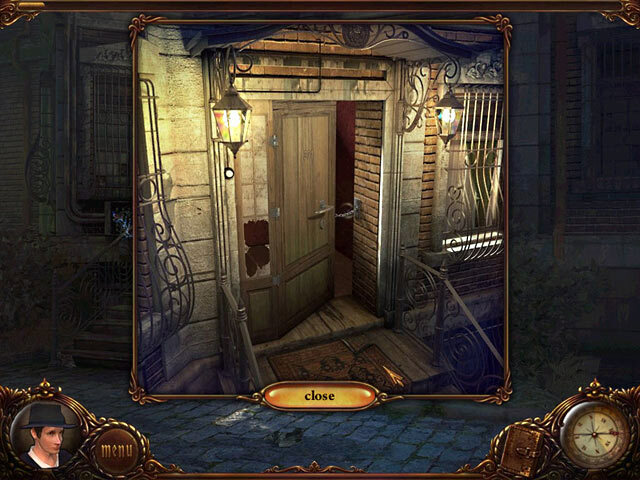 MINUS SIDE: Some of the Hidden Object scenes were very dark, I struggled and ended up using a lot of hints, which do refill fairly fast ( the cursor does a little loop de loop with too many misclicks). Travel back in time and experience the mysterious life of your grandfather! Explore eerie Victorian locations and find the truth!